Kolkata: Indian scientists have developed a cheap, easy and ultra-sensitive blood-based strip test for kala-azar or visceral leishmaniasis (VL), the second largest parasitic killer in the world after malaria. Having been validated in India, Nepal, Sri Lanka and Brazil, the technology will now be tested in Africa to enable nations fight the ravages of the disease that is lethal if untreated. The indigenously designed dipstick has shown “high accuracy” in laboratory tests using blood samples in the four countries, according to Nahid Ali, chief scientist at the CSIR-Indian Institute of Chemical Biology (IICB), who spearheaded the evolution of the novel method that “conclusively” diagnoses VL. While the in-use and popular rK39 test kits do well in the Indian subcontinent, their sensitivity fails to hit the bull’s eye in Brazil and the African nations, particularly in the eastern part of the continent, in countries like Sudan, South Sudan and Ethiopia, where VL is rampant, the researcher informed. “Our dipstick is so far very good in diagnosing Brazilian VL. We have also initiated collaborations in Africa and will soon send our test strips for validation,” Ali said. Kala azar is a fever-based disease caused by a parasite (Leishmania donovani) transmitted through the bite of sandflies. India accounts for 50 percent of the cases that occur globally. 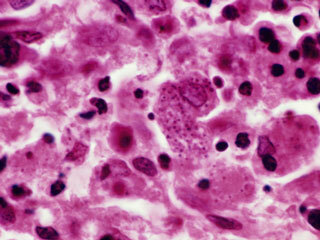 Of the three forms of leishmaniasis, VL or kala azar is the most serious. Bihar, Jharkhand and parts of West Bengal are the Indian states in the grip of the disease that endangers 200 million people in 88 nations and often strikes the young. “It is one of the most underestimated diseases. Since it is fever-based, like malaria and typhoid, the symptoms are common and diagnosis is often misleading. But with our dipstick there was no cross-reactivity with other diseases that exhibit similar symptoms,” Ali said. Apart from the high-specificity and sensitivity, Ali said, the dipstick method “holds great potential to make invasive tissue sampling unnecessary”. “For conclusive proof of the parasite (visual evidence) to avoid misdiagnosis, needle biopsy is performed to draw out aspirate sample by inserting a long needle in the patient’s spleen, bone marrow, liver or lymph node where the parasite inhabits. It’s very painful and requires expertise whereas the new dipstick is non-invasive,” the veteran scientist said. It can also detect post-kala azar dermal leishmaniasis (PKDL), a sequel of kala azar that is not life threatening but serves as a potential reservoir of the infection. “PKDL is still more difficult to diagnose and its skin lesions are often confused for leprosy and mistreated,” Ali highlighted. With a stable shelf-life of at least 12 months, IICB’s dipstick technology (targeted for Leishmania donovani) provides results from a patient’s blood serum in less than two hours. The presence of antibodies in the blood can be directly seen as a coloured band in the strip. So, sophisticated add-on instruments are not required. Results can be obtained faster by incorporating modifications in the strip’s design once it’s commercialised. It can also be adapted to test for canine leishmaniasis, said Ali whose team comprises research scholar Samiran Saha, who worked on designing the strips. Sarfaraz Ahmad Ejazi, a senior research fellow, is into making strips for a urine test. Submitted for patent, Ali received the gold medal at ‘Innovators Competition’ for Department of Science and Technology-Lockheed Martin India Innovation Growth Programme 2015, for the innovation. “We are looking for industrial partners to take the technology further and commercialise the indigenous method. We hope India can offer the technology to other countries in need and enhance entrepreneurial and scientific cooperation,” said IICB director Samit Chattopadhyay, who recently took charge of the institute.